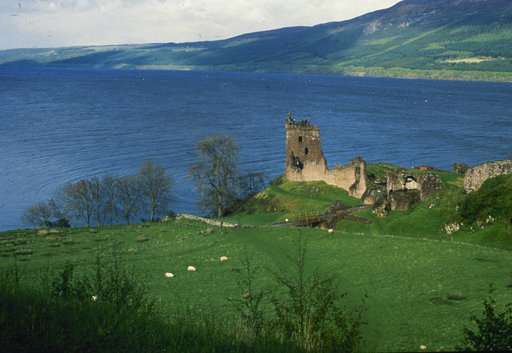 But now the legend of "Nessie" may have no place left to hide. A New Zealand scientist is leading an international team to the lake next month, where they will take samples of the murky waters and conduct DNA tests to determine what species live there. University of Otago professor Neil Gemmell says he's no believer in Nessie, but he wants to take people on an adventure and communicate some science along the way. Besides, he says, his kids think it's one of the coolest things he's ever done. One of the more far-fetched theories is that Nessie is a long-necked plesiosaur that somehow survived the period when dinosaurs became extinct. Another theory is that the monster is actually a sturgeon or giant catfish. Many believe the sightings are hoaxes or can be explained by floating logs or strong winds. Gemmell said that when creatures move about in water, they leave behind tiny fragments of DNA. It comes from their skin, feathers, scales and urine. He said his team will take 300 samples of water from different points around the lake and at different depths. They will filter the organic material and extract the DNA, he said, sequencing it by using technology originally created for the human genome project. He said the DNA results will then be compared against a database of known species. He said they should have answers by the end of the year. "I'm going into this thinking it's unlikely there is a monster, but I want to test that hypothesis," Gemmell said. "What we'll get is a really nice survey of the biodiversity of the Loch Ness." He said the real discoveries may come in determining things like the prevalence of invasive species. Gemmell, 51, said he first visited Loch Ness in his late 20s while on vacation. Like thousands of tourists before him, he gazed out over the lake trying to catch sight of a monster. He said he first came up with the idea of testing DNA from the lake a couple of years ago and it resonated with many, including his children, aged 7 and 10. Graeme Matheson, chief of the Scottish Society of New Zealand, said he, too, has visited Loch Ness and gazed out over the water, and that he wishes Gemmell all the best. "I hope he and his cohorts find something, although I think they'll be battling," Matheson said. "Still, it's a good way to get a trip to Scotland." Gemmell said that even if they don't find any monster DNA, it won't deter some Nessie believers. He said they've already been offering him theories, like that Nessie might be on vacation after swimming to the sea via hidden underwater caves, or that the creature might be extraterrestrial and not leave behind any DNA. "In our lives we want there still to be mysteries, some of which we will ultimately solve," Gemmell said. "That's part of the spirit of discovery. And sometimes, what you find may not be what you were expecting." 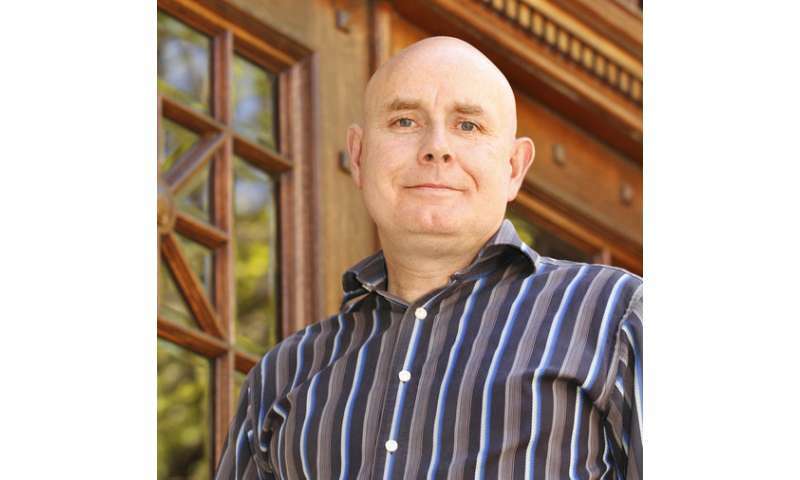 University of Otago professor Neil Gemmell says he's no believer in Nessie, but he wants to take people on an adventure and communicate some science along the way. ..anyhow: Testing the DNA from the lake has other (and actual) benefits than checking for mythical monsters. "This is an undated file photo of a shadowy shape that some people say is a photo of the Loch Ness monster in Scotland." -Uh no, the gynecologist who made that fake wooden model owned up to it in an old documentary decades ago. A good example of how old lies refuse to die because lazy article writers fail to exercise due diligence. Bah. They even forgot to mention feces in the article. Are we all children? 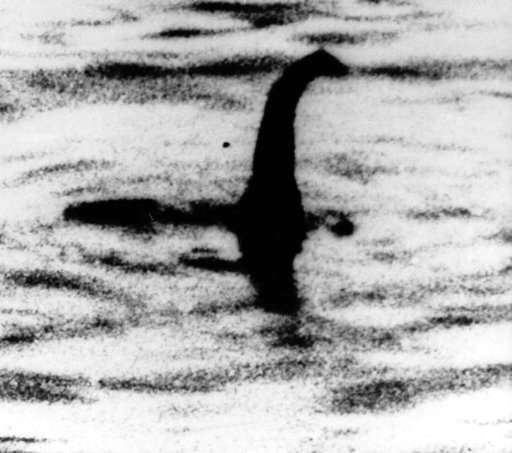 No one can ever dispel Nessy, the monster lives in the Loch; it's no coincidence Nessy lives in Loch Ness. The Loch is named after Nessy how does every one think the Loch Ness got its name! It's a myth, it cannot be dispelled. Nessy hides in the many underground tunnels, because Nessy is camera shy, Nessy waits till the coast is clear and sneaks out across the loch, which is why Nessy only appears in poor grainy photographs. Nessy's myth is secure for time immortal. Nessy has just released a private communicate to all Nessy fans, no one has ever managed to capture Nessy and consequently no DNA samples obtained from the loch can be substantiated because as long as Nessy can remember going back aeons no one has obtained so much as much as a poor grainy photograph! Well, strictly speaking, "some people say" is correct. Is that King Kong riding? it would have to be, considering Nessie is considerably larger than bigfoot, right? There apparently was something of the type living in the Great Lakes watershed at the time of the European settlement. My great-grandfather described an aquatic snake-like creature 3-5 meters in length that he initially mistook for a drowned tree sticking out of the water, similar stories are scattered throughout the area. It appears to have been wiped out a century or more ago. Better get used to the scenario of Plesiosaurus. According to this conversation http://www.future...port_230 starting in paragraph 108, at least in 1989 no less than 3 of them could be found in the Loch with its deep connection to the Atlantic. "Not everything you read on the internet is true." You have a strange definition of conspiracy. My preference is to call that information pretty extreme and irritating claims (without hidden agenda) that deserve scrutiny, because being very consequential if true. I would rather call each and every religion and sect to be a conspiracy (with terrible effects), needing to be called out as what they are. Here my gentle advice. If one day you come to the scientific conclusion that the likelihood of us humans on Earth being the sole intelligent conscious life form in this universe is different from zero, you might want to follow my example and also want to consider using some of your spare time for checking out, if this farmer in Switzerland might eventually have more to tell and show than the photos from the 70ties of space crafts that had made their way to the X-Files.